With the crappy winter we had it’s finally spring! Or is it? I think if your like me, you are glued to the TV watching the developing storm that could potentially hit us. I wouldn’t necessarily be mad if we received the moisture in the form of rain. Snow, well that can bite the big one! 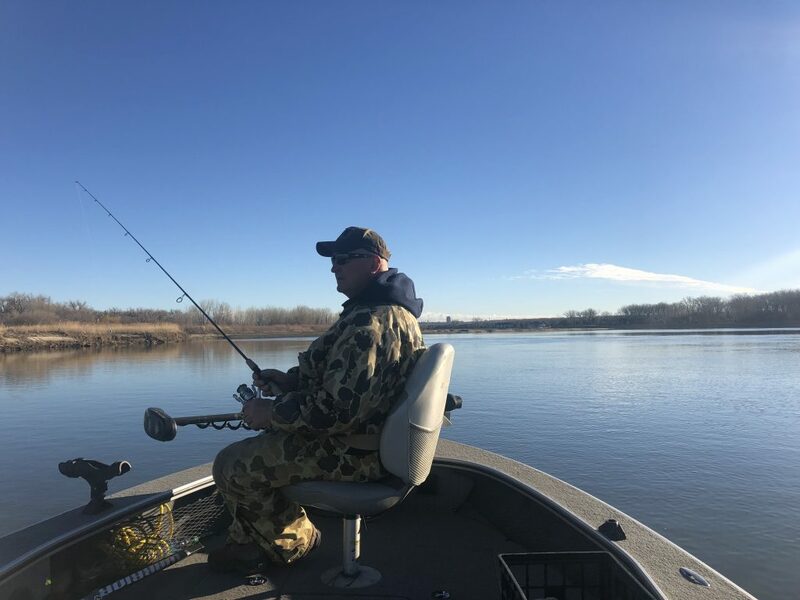 What did I learn this past weekend while fishing the Missouri River System both here near Bismarck and also up north on the Garrison Dam Tailrace. We are spoiled here in North Dakota! The quality of fish is just insane. The health of the fish is fantastic. Reports near town are showing signs of improvement with some big fish mixed in. Haven’t had one of those really big girls yet, but they are showing up. As of this report Monday the river is warming up and we found water temps near 44 today. Kinda scary for it to be this warm already. It’s also cleaned up considerably north of the heart river. Things will slowly begin to clean up down south. My feeling right now is there is the mother load of fish staging just south of Bismarck in the dirty water. Any day now they are going to begin to slide up stream. It will be only a matter of time before the river straightens up and we will have some really good days ahead us! Pitching 1/8 and 1/4 oz jigs with both minnows and plastic up towards the bars or right off current break seems to be best right now. Nothing better than feeling that tick or thump of a jig!